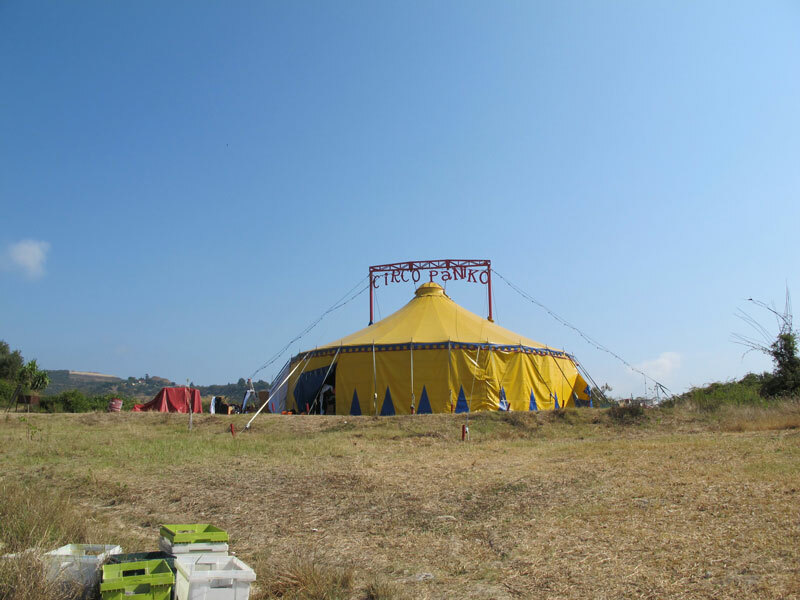 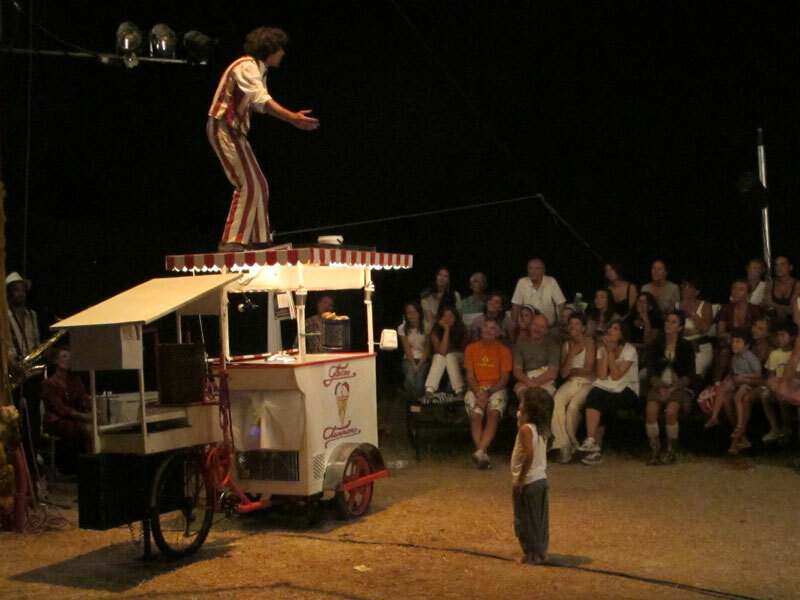 The company Circus Paniko is a great example of the traveling theatres from past times. 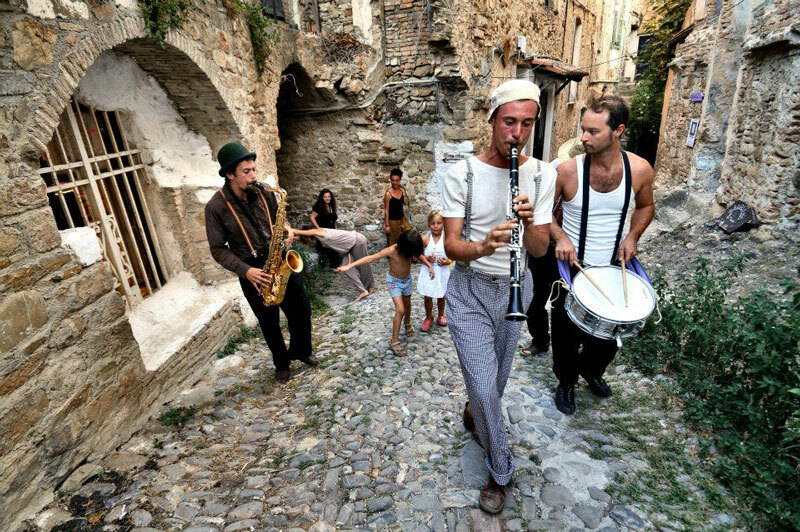 Always looking for a passionate and unusual form of expression of their artistic qualities. 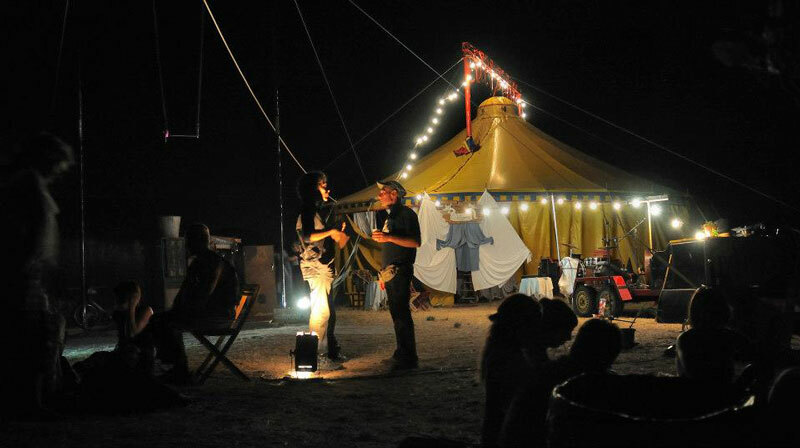 Not trivial jokes, nothing malicious allusions, no rants and obviousness, but short live music and a lot of style! 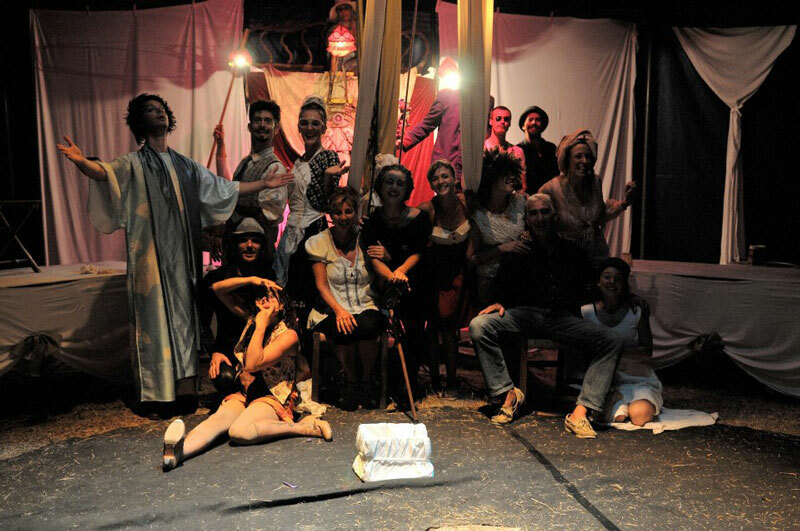 The numbers follow each other and are intertwined through the characteristics of the characters funny and grotesque, absurd and very real. 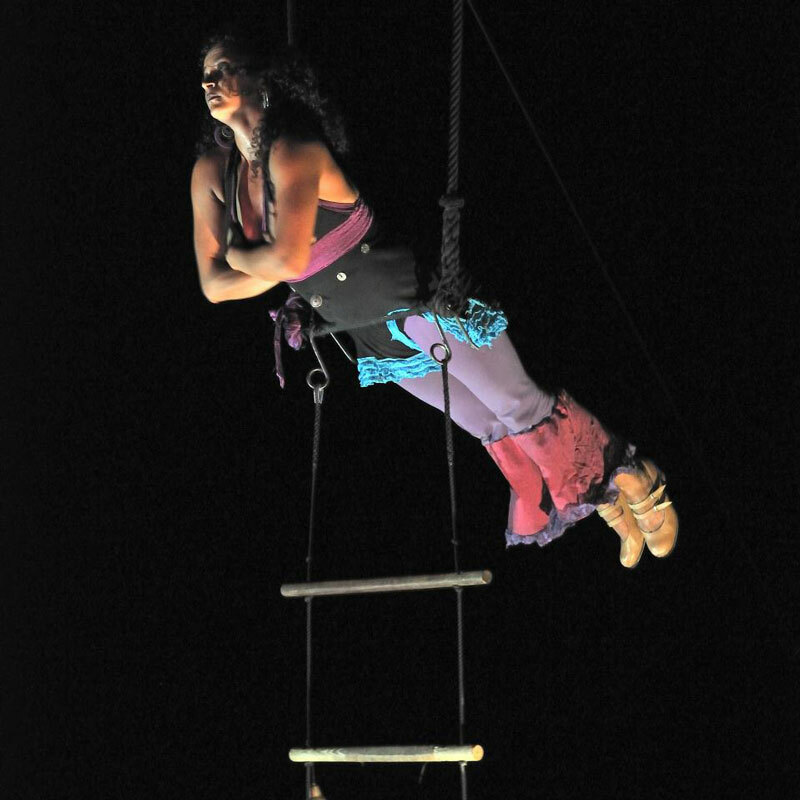 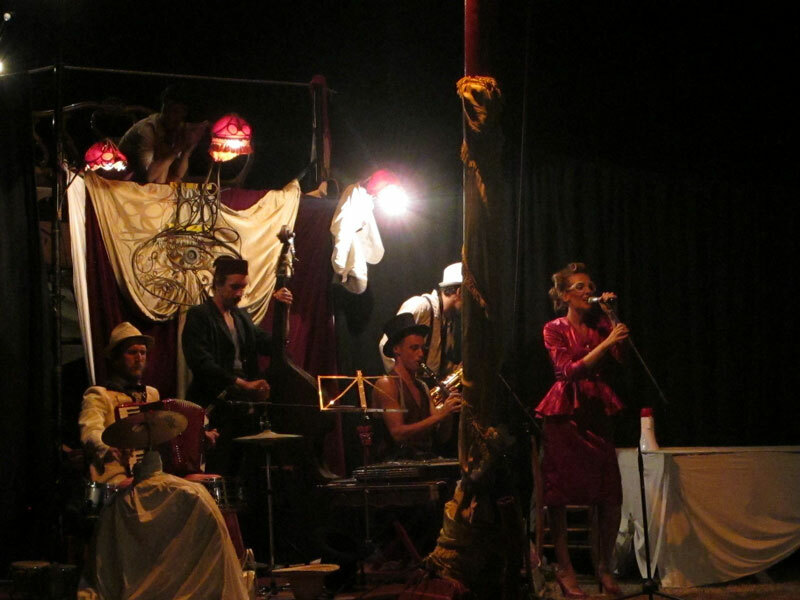 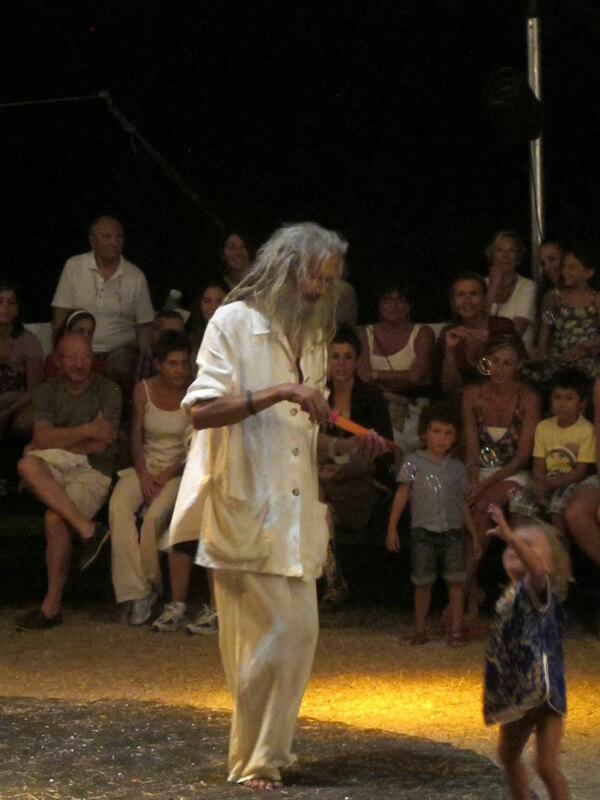 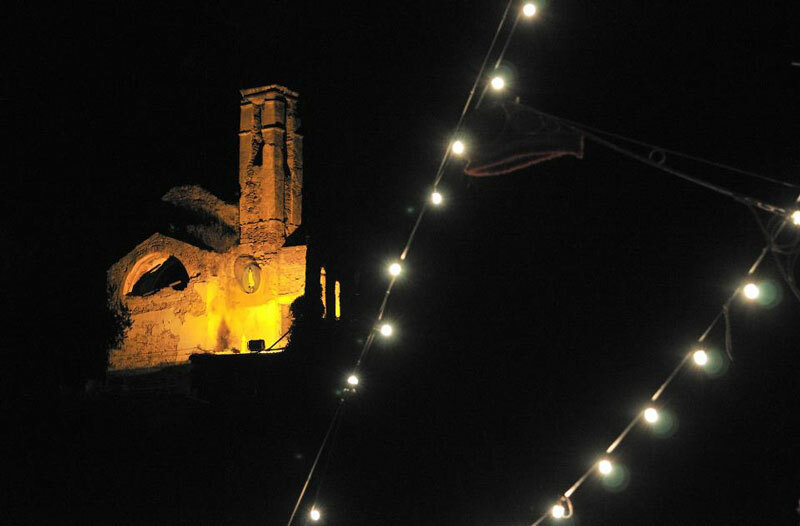 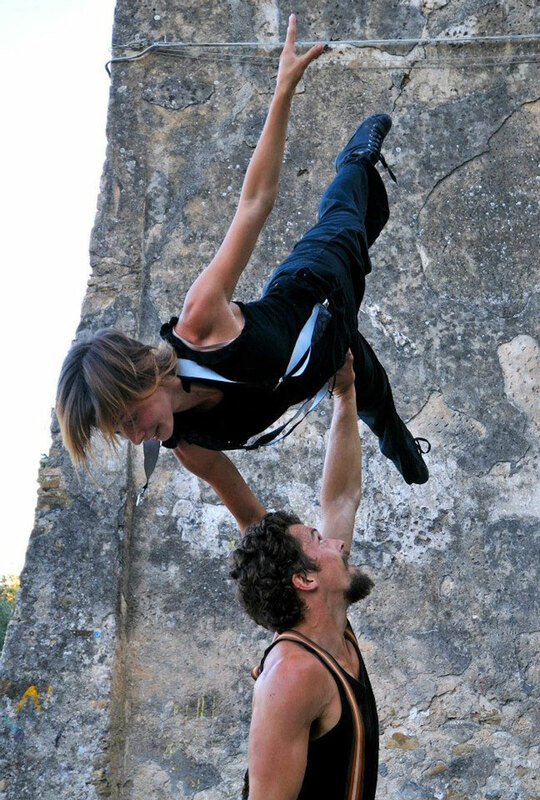 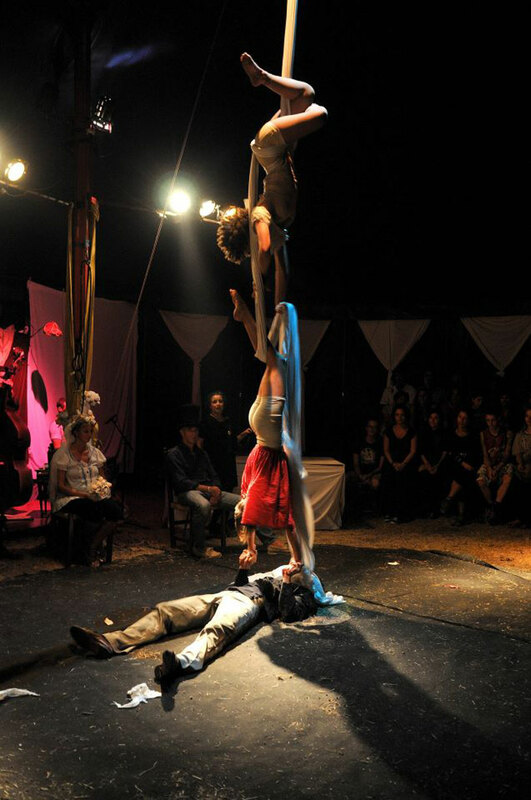 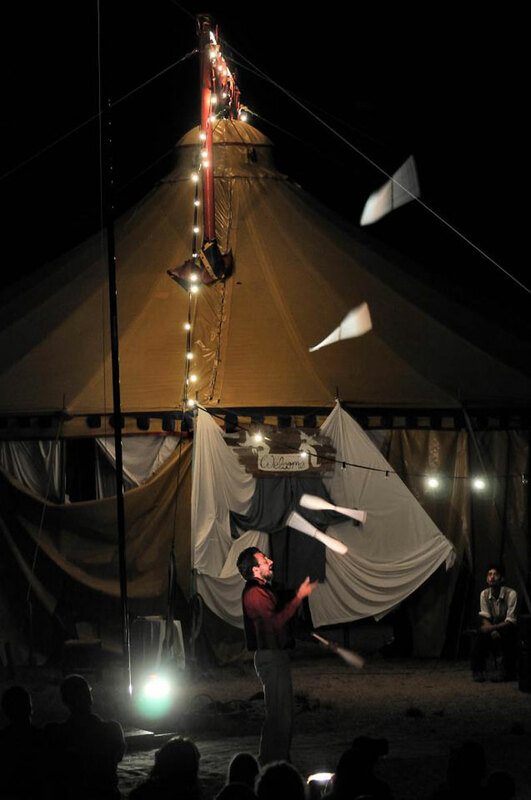 The artistic community of Bussana Vecchia blended very well with the performers of Circo Paniko.